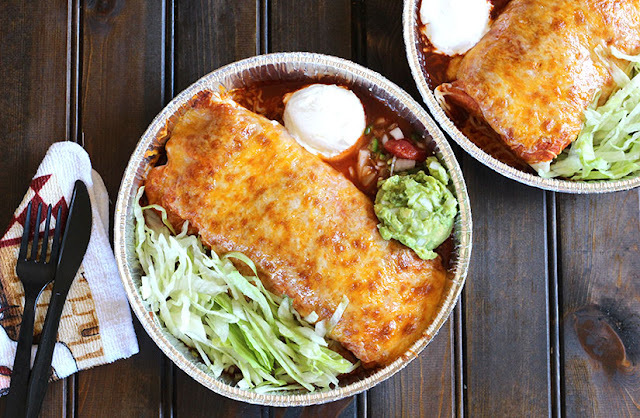 Enchilada Style Burritos is an easy to make and delicious meal where piping hot tortillas are stuffed with cheese, sauce, beans and rice, and served with delectable sides. 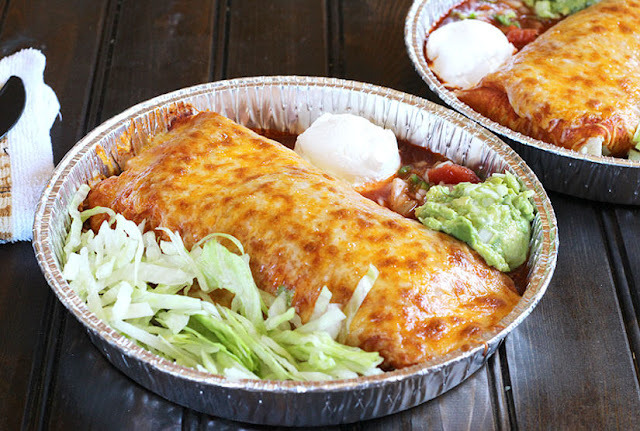 Be sure to try this out if you love Mexican food. Prepare the dough for tortilas and keep it aside for 30 minutes. You can also use store bough tortillas. In a pan, add butter or oil. Add raw rice and saute till it develops some color, about 3 to 4 minutes on medium heat.This step will impart a nutty flavor to the cooked rice. Now add in the green chillis, cilantro and mix. Add the water as per package instructions (for rice) and cook the rice. Add in the lemon juice and mix. Keep this aside.